Self-driving cars may not hit the road in earnest for many years. But autonomous boats could be just around the pier. Marine innovators are spurred in part by the car industry's race to build driverless vehicles. They are building automated ferry boats for Amsterdam canals. These are cargo ships that can steer themselves through Norwegian fjords. Also possible are remote-controlled ships to carry containers across the Atlantic and Pacific. The first such autonomous ships could be in operation within three years. One experimental workboat spent this summer dodging tall ships and tankers in Boston Harbor. It was outfitted with sensors and self-navigating software and emblazoned with the words "UNMANNED VESSEL" across its aluminum hull. 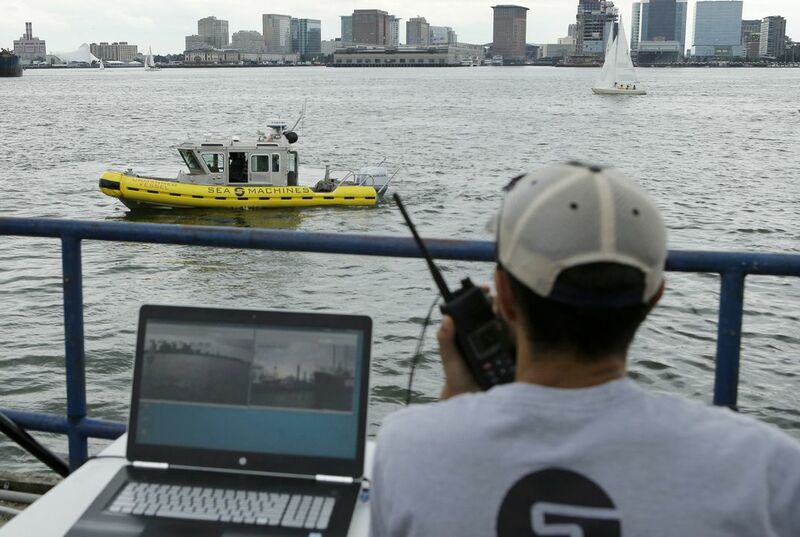 "We're in full autonomy now," said Jeff Gawrys, a marine technician for Boston startup Sea Machines Robotics. Sea Machines is based out of an East Boston shipyard and was once used to build powerful wooden clippers. Those were the cutting-edge sailing vessels of the 19th century. 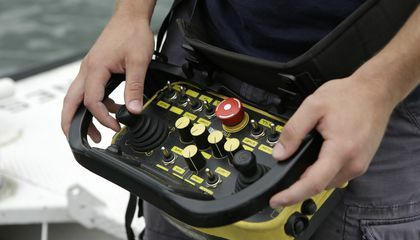 Johnson's company is hoping to spark a new era of commercial marine innovation that could surpass the development of self-driving cars and trucks. The startup has signed a deal with an undisclosed company. The plan is to install the "world's first autonomy system on a commercial containership," Johnson said. It will be remotely-controlled from land as it travels the North Atlantic. He also plans to sell the technology to companies doing oil spill cleanups. He plans other difficult work on the water, including assisting maritime crews, but not replacing them. In Norway, fertilizer company Yara International is working with engineering firm Kongsberg Maritime. They plan to replace big-rig trucks with an electric-powered ship. It will connect three nearby ports. The pilot ship is scheduled to launch next year, then shift to remote control in 2019 and go fully autonomous by 2020. In the passage "Self driving boats", I agree that self driving boats would be good and easier to transport goods. My first reason I think this is because it would be less dangerous than self driving cars because the ocean is way bigger and open than the road. Another reason is that self driving boats don't have to worry about pedestrians and bikers or traffic which would be way easier to navigate. My last reason is that armchair captains in a remote center could control several ships at a time. These reasons support the claim that self driving boats would be easier to transport goods and navigate. In the story "Self Driving Boats" I agree that self driving boats can enhance safety in many ways. My first reason why I is that the boat drives for you and it is easier while if you're driving you could be distracted. Another reason how it would be easier is that armchair captains can now work easier. It is tricky for a armchair captain, because they have to do so many things. In the passage it says, "armchair captains in a remote operation center could be monitoring several ships at a time, sitting in a room with 360-degree virtual reality view" Now it is easier for a armchair captain because the self driving boats can move by not relying on a human. My final reason how it is safer is that it is easier to transfer cargo, now cargo can be easily transferd over the seas and humans don't have to control where it goes. These are my reasons how self driving boats are more enhance in safety. I think these self-controlled cars and boats is a great idea.First of all the amount of deaths every year due to car accidents is tremendous.People are getting killed at an alarming rate. These self-controlled cars will stop many deaths.With people texting and driving.Also drivers will not get distracted by bikers or other things happening outside of the vehicle.The boats also will be much safer,instead of risking 200 peoples lives it's only about 10.Also with the armchair captain he can control many vessels at one time.You will not have to rely on a human for safe driving,the self-controlled which uses sensors will be much safer. In the passage self driving boats is good because it help get there faser .